In my last post I shared about my mini-collection of travel drawings. This post will be all about other types of souvenirs. It isn't necessary to buy stuff when you travel but most people do. There is a whole industry based on it after all. On my most recent trip to Mexico I took a city tour of Cozumel and the tour guide said that the only employer on the island is tourism... crazy, right? A whole island whose only major employer is people like you and me who go there and spending money. My guide to buying a good souvenir is this: it should be something beautiful and functional. Simple, right? Here are a few examples of my functional and beautiful souvenirs that tell a story about my travels. I tried my hardest to find a pencil drawing when I was in Mexico. I really, really wanted one for my collection but there were just none to be found. Thankfully at the last minute I came across this amazing booth of feather paintings. 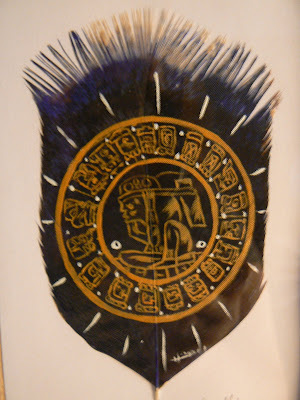 I'd never heard of painting on feathers before but apparently it is a Mayan art. They wouldn't let me take pictures but there were some crazy cool ones like The Last Supper on a peacock feather. I chose a dark blue duck feather with a painted gold Mayan calendar. I had just gone to a Mayan ruin and learned all about the Mayan calendar so it was apropos for me to get it. What I particularly love about it is that the colors are great. The deep blue feather and the gold paint look amazing together. It came framed so I didn't have to worry about getting it framed immediately which was nice. The last photo is where I hung it my house. It looks great on my gallery wall. The second thing I bought in Mexico was this painted ceramic skull. They were everywhere in Mexico. The vendors didn't like tourist to take pictures so I can't show you here but there were a lot to choose from. I can't say exactly why I chose this particular one. Like I said these skulls were everywhere and at first I didn't buy one because I wasn't sure what I would use it for. 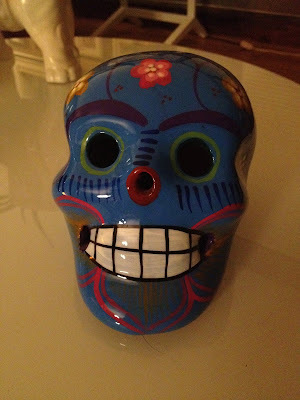 And like my souvenir buying guideline says whatever you buy should be 'functional' and I wasn't sure what function a painted skull would serve in my home... but then, it hit me. A bookend! Here you can see it serving its function beautifully on the bookcase in my bedroom. Have you ever been to New Orleans? If you have then you'll instantly recognize this as the symbol of the city, a fleur de lis. And since it is the symbol of the city it is on everything. Seriously, everything. Underwear, plates, magnets, wineglasses, etc. I was there for a week so I had plenty of time to look around. I found this metal hook in a very cool shop. It looks great in my kitchen and it's the perfect place to hang my dog's leash. Another perfectly beautiful and functional souvenir. It's hard to see in this picture but the vignette on the dresser has two souvenirs. The first is this piece of coral. This piece of coral is from The Outer Banks, North Carolina. Did you know there is coral in the ocean there? I sure didn't, but there were lots of shops that had coral like this. I wanted one of those super huge pieces but they were upwards of $50. This little piece (about 5" in diameter) was around $15. I've had it for about four years and it has held up surprisingly well. It is definitely more beautiful than functional but I think it is a great souvenir. 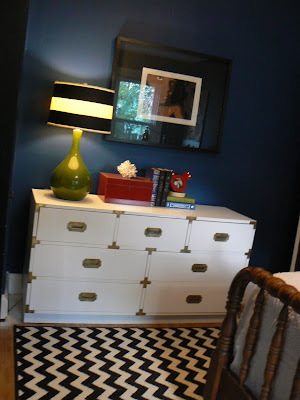 It evokes that beachy feeling and it can be used in so many places. I've used it as a bookend, on a nightstand, and currently it is decorating the top of my red lacquer jewelry box. The second item is the red picture frame. Yes, those are the iconic Mickey ears. The secret's out... I'm a Disney-girl! Will you still read my blog? Just kidding, you'd better. I grew up going to Disney World, but unlike most people my family still goes even though my siblings and I are all grown. We are, unashamedly, a "Disney family" but my parent's house isn't all Disney-fied like some Disney lovers' homes. We try and show some restraint when we are there. No one knows how to market their products like Disney so it is really hard not to buy everything in sight. For how many times I've been to the parks it is pretty amazing that I only have two Disney things out in my house. The first is that little red picture frame. I love it. It isn't for everyone but I love read and despite being a cartoon character those Mickey ears are a classic symbol. 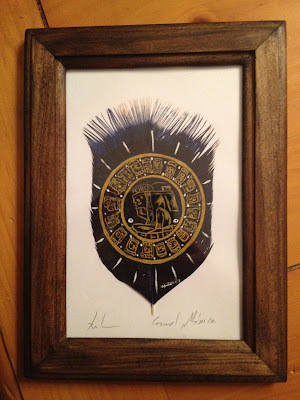 The second is another picture frame that is hanging in my living room. This post has become confession time because I have another one... I'm obsessed with miniatures. I mean, ...it's bad. I have to repeat to myself over and over again when faced with teeny tiny things... "Step away from the miniatures. Step away from the miniatures." Miniatures are a slippery slope because you start out with one and the next thing you know you're on Hoarders. They are like Pringles and Oreos, one is never enough. But again I am good at breaking my own rules, or at least talking my way around them. A couple of years ago I went to Atlanta and toured the Coca-Cola factory. It was a fun tour and as you can imagine the gift shop was really cool. I limited myself to two purchases. A shot glass and a salt and pepper shaker set. The shot glass is a mini-Coke cup. ADORABLE. I love that pale green glass. I didn't have a shot glass before and sometimes it is nice to have one around (you know, after a hard day). I will admit that this is my second set of salt and pepper shakers but the nice thing about these is that the holes are small so I use them on the dining table. My other set has a lot of holes and pours really fast so I use those for salting large things I'm cooking and this set for guests. That was a long-winded post but I hope you were a little inspired to buy cool things next time you travel. Remember: beauty and function will never disappoint.